A house with a weak foundation will eventually crumble and fall. A landscape built on poorly nourished soil will eventually succumb at the feet of its attackers: weeds, pests, and diseases. Our certified program of fertilization and weed control in Wildwood MO and its surrounding areas sees that your lawn and landscape thrive dense, durable, and healthy all year long without you having to spend your time, effort, and money for it. Here are the crucial things you need to know about our services and us! 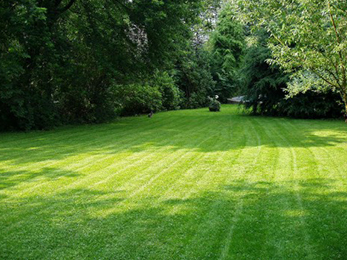 Here at Lawn Masters, we treat your lawn and landscape just as we treat our own homes: with respect and understanding. 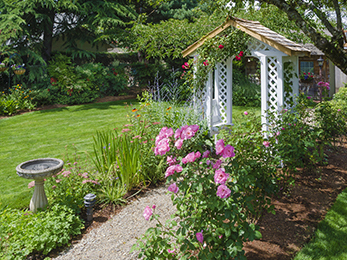 The reliability, beauty, and health of your property rely on its “foundation” – meaning the soil and the plants’ roots. Here are the basics of the 7-step program of fertilization and weed control in Wildwood MO that we developed over the years and offer to all our clients! This program of fertilization and weed control in Wildwood MO is a continual service; in other words, you do not have to remind us next spring to come over and resume the work because we already know, and we already scheduled your property on our route. What Else Should You Learn About Us? 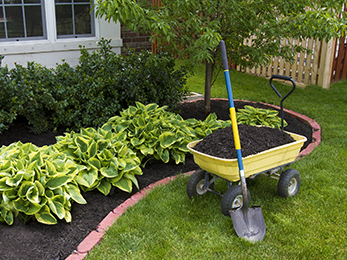 If you are shopping around for reliable landscaping companies in your area, you probably heard about us by now. Our faithful pool of customers recommends us to their friends and neighbors with any given a chance. Why are they so happy with our services? We do our jobs in a fast, efficient, smooth, and clean manner; since our beginning in 1983, we always invested in the latest and most performing technologies, equipment, logistics and billing software, and more. If someone is not happy with the job we did, but still wants to recommend us, we come back and redo the job free of charge. If you want to learn more about our program of fertilization and weed control in Wildwood MO, contact us, request a free estimate, and have our experts answer all your questions!